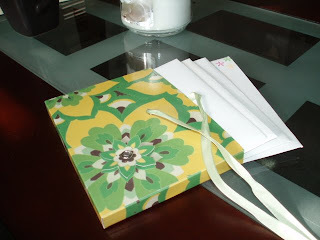 While on my sewing hiatus, my attention turned to paper crafting. 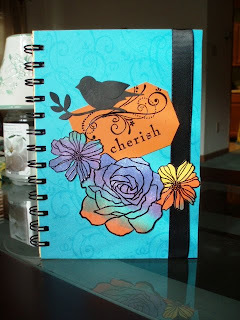 A friend let my borrow her spiral punch to make journal covers. I simply punched the long edge of the cardstock, decorated the front, and glued the cover to the front of the journal. The results are cute, personalized journals, perfect for recording thoughts and creativity. One day I’m going to learn how to take clearer pictures. 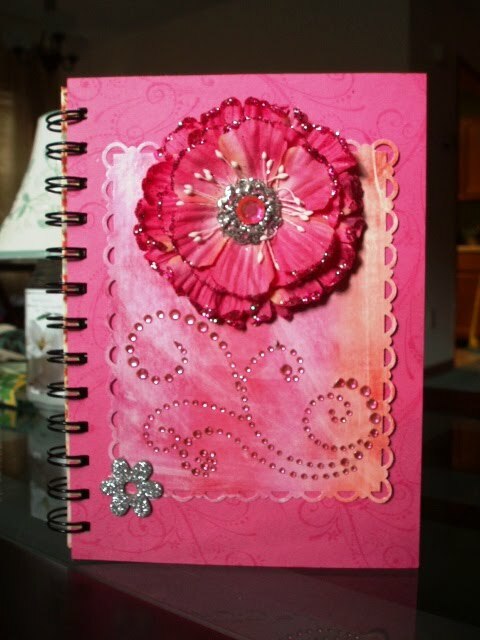 The following are greeting card holders that can hold up to six cards, or maybe four heavily embellished cards. I found and used this template from Mirkwood Designs. 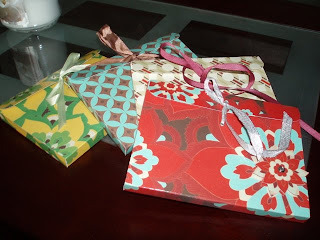 This is great way to package cards for gifts or sale. I used DCWV (Die Cuts With a View) cardstock. The sheets with the “lacquered” look and texture were stiffer than regular cardstock and held the shape of the holder beautifully. I scored the template with a stylus rather than a scoring blade to avoid inadvertently cutting the paper. The finished dimensions of the holders are 6×4.5 inches. Yeah, I took the pictures on a whim and wasn't sure if I would post them or not. 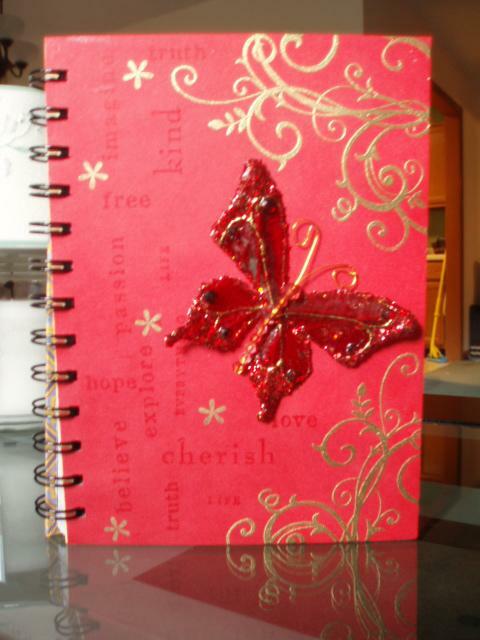 I gave that red journal away, so I can't retake the picture. I'll have to try that Zutter tool. It sounds cool! Ooo.. how pretty! I have the Zutter Bind-It-all and need to play around with it more. I use a macro setting on my camera to take clear close-up pictures. 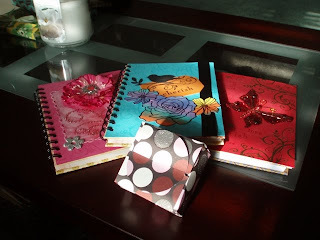 You did a fantastic job with all your projects… they are so pretty. I've also been in a paper crafting mode. Thanks for the link.